Tax breaks designed to help the private sector finance infrastructure projects were not included in a Republican tax overhaul bill President Donald Trump would consider by the end of the year. The Republican-led tax-writing Ways and Means Committee shot down Nov. 8 a push by a Democrat that would have ensured that tax breaks for private activity bonds remain in the massive legislation. The amendment Rep. Suzan DelBene (D-Wash.) offered during the bill’s markup hearing was rejected along party lines three days into the bill’s consideration. Ways and Means kicked off its markup Nov. 6. The legislation is expected to reach the House floor by the week of Nov. 13. Senate leaders indicated they would proceed with their version after House passage. Private activity bonds are key for financing public-private partnerships. Private firms and nonprofit groups access the bonds to proceed with municipal projects. 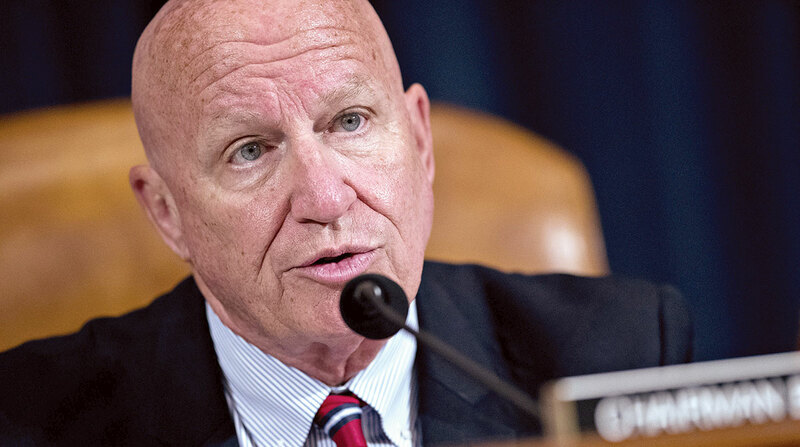 The tax bill managed by Ways and Means Chairman Kevin Brady (R-Texas) would do away with the exemption for private activity bonds. More than 100 lawmakers support DelBene’s effort. In a recent letter, lawmakers called on House leaders to not do away with the deduction on tax-exempt municipal bonds. Freight stakeholders also are pressuring GOP leadership about the bonds. The American Association of Port Authorities has urged Republican tax authorizers to ensure they maintain private activity bonds in the tax reform bill. “By eliminating the tax exemption for private activities bonds, ports will need to offer higher yields, which will result in additional costs,” AAPA President Kurt Nagle said in a letter to House Republican leaders. The group also asked for reforms to the harbor maintenance tax, the permanent extension of the wind energy production tax credit and increased funding for the multimodal freight network. In a Nov. 2 letter to Congress, American Trucking Associations President Chris Spear stressed an overhaul of the U.S. tax code would benefit motor carriers if it were to lower rates on business income, broaden the base to make it more equitable and simplify the code. During a recent trip to Harrisburg, Pa., Trump argued a tax package would bolster wages across the industry. Administration officials have indicated the president will turn his focus to infrastructure funding after the tax reform measure reaches his desk. Several Democrats are criticizing the tax package for not addressing infrastructure funding concerns.